Few other places in the United States have such a strong sense of history as Gettysburg, Pennsylvania. The site of the greatest battle of the Civil War fought in 1863 which cost the nation 51,000 lives is commemorated all over Gettysburg, from Gettysburg National Military Park with one thousand monuments, to famous colorful battle reenactments, and many excellent museums. Gettysburg Battle was the Civil War's turning point, its bloodiest battle, and the inspiration for President Abraham Lincoln's "Gettysburg Address." Gettysburg National Military Park was established to protect the area of the battle and to interpret its landscape and events to the visitors. The park includes the battlefield, battle support areas such as areas used for reserves, hospitals, and supplies, and several relevant non-battle areas that include the Gettysburg National Cemetery. The Gettysburg Museum and Visitor Center, located within the park, contains most of the park's 43,000 Civil War artifacts, and is one of the best things to do in Gettysburg, PA. There are numerous battle re-enactments and commemorative events organized in the park every year. The park staff is also in charge of replanting the original forests and other plants that existed in the area at the time of the battle. Gettysburg National Cemetery was established right after the Battle of Gettysburg claimed more than 51,000 lives. With his famous Gettysburg Address, President Lincoln dedicated the cemetery, reminding Americans of the lives lost in order to keep the Union together. The cemetery is the final resting place of about 3,500 Union soldiers that died in the Battle of Gettysburg, and it is part of the Gettysburg National Military Park. 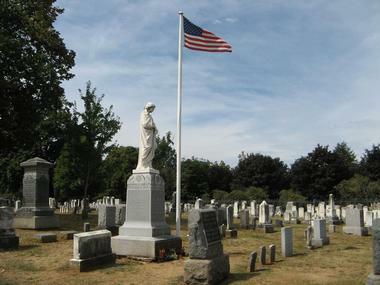 The National Park Service is responsible for managing the cemetery, which contains a number of significant monuments such as the Soldiers' National Monument that was completed in 1869 and a rostrum, built in 1879, located close to the entrance on Taneytown Road. This brick rostrum was used as a standing platform from which many presidents, including both Roosevelts and Eisenhower, gave speeches while attending yearly Gettysburg Battle memorial ceremonies. It all started while the fires on the battlefield of Gettysburg were still smoldering and the blood had barely dried. As soon as the armies left, the families of the fallen soldiers and curious citizens started coming, and local residents started guiding them around. Since 1863, the role of guiding the scholars, relatives, veterans, and tourists was taken over by various groups and people who claimed to have some knowledge of what really happened and where. The battlefield was becoming one of the most important parks commemorating the Civil War. Due to the need for highly educated and knowledgeable guides who would provide accurate information, in 1915 the Federal Government established a testing of the guides in order to ensure the quality of the information. Once tested, the guides became licensed members of the Association of the Licensed Guides. Licensed guides will ensure that your visit to the Gettysburg Battlefield will be informative and exciting, and that the information you will get is accurate and interesting. Eisenhower National Historic Site (Eisenhower NHS) features the home and farm of Dwight D. Eisenhower, America's 34th president. During Eisenhower's presidency, the site served as a meeting spot for world leaders. Now, people come from all over the world to see the 40,000 artifacts contained in Eisenhower's former home. The Eisenhower NHS also includes 700 acres of diverse, beautiful habitats, which serve as a protected area for loggerhead shrikes, short-eared owls, and upland sandpipers. Youth groups regularly visit Eisenhower NHS since there is a special program offered for students from 3rd to 12th grade. 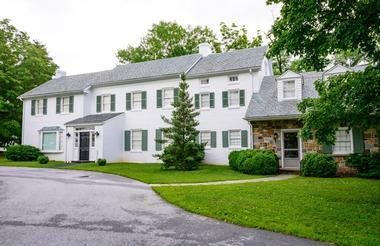 The Gettysburg Museum of History is located in the home of its owner and curator, Erik L. Dorr, who spent his entire life collecting American historic artifacts. Mr. Dorr is the 4th generation of a family whose farm was the location of the famous Pickett’s Charge in 1863. After the farm was incorporated into the Battlefield Park, the family moved to the home where Mr. Dorr lives today, and the home also hosts the Gettysburg Museum of History. The museum’s collection contains not only artifacts collected by Mr. Dorr’s ancestors after the Battle of Gettysburg, but also artifacts that cover the entire American history from its founding to today. This private collection, which rivals in its size and quality many governmental and private museums, is today open to the public as part of the Gettysburg Museum of History, free of charge, as part of community service. Walking through the Shriver House Museum is like walking back in time. The meticulously restored 1860 home is your window into an important period of American history. While walking through its rooms with a guide dressed in a period costume, you can learn how the civilians lived and what happened to them during the Battle of Gettysburg. Your guide will tell you the story of the Shriver family while you explore their fully furnished rooms, which look the same as they did in 1860, with all the furniture, clothes, children’s toys, and other items of everyday life. You will see the two sharpshooters who were hiding in the attic during the battle and died there. The house was also used as a hospital and a place to store medical supplies during the battle, and you will see some of those supplies, which were later found in the house. 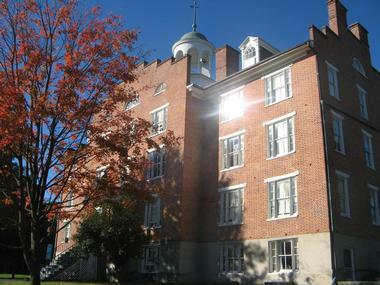 The Gettysburg Seminary Ridge Museum boasts 20,000 square feet of interactive galleries and educational programming. The museum touches on three main topics: the first day of the Battle of Gettysburg, care given to wounded soldiers at Schmucker Hall, and moral questions from the Civil War era. An outdoor feature called the trails program is popular among visitors. The main outdoor trail circles the Lutheran Theological Seminary Campus and includes informative markers that describe Seminary Ridge's role in the Civil War. Museum visitors can take a self-guided tour of this area or take a tour with one of the museum's tour guides. The area where the Jennie Wade House sits was generally seen as a “no man's land” during the Civil War, but the house became an important historic site after 20-year-old Jennie Wade was shot while preparing bread for Union soldiers. She is the only known civilian casualty of the Battle of Gettysburg. 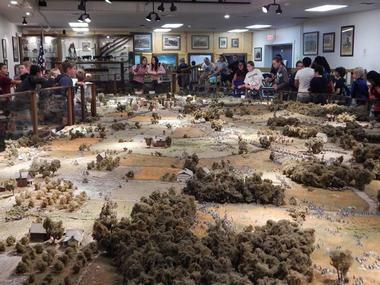 The Gettysburg Diorama is a display that recreates the Battle of Gettysburg in impressive detail. The 800-square-foot diorama contains more than 20,000 hand-painted soldiers, horses, weapons, and buildings. In addition to visual detail, the diorama has a narrated soundtrack that tells the story of the Battle of Gettysburg in 30 minutes. The diorama also provides an excellent learning opportunity for youth groups. In addition to the diorama, visitors can enjoy other unique Civil War artifacts that are just steps away. An onsite bookstore contains a wealth of books, collectibles, toys, and clothing for guests. 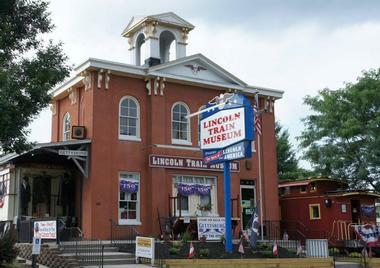 The Lincoln Train Museum offers a unique way for visitors to learn about the history of America. The museum has interactive exhibits dedicated to US presidents, law enforcement, and the military, as well as cultural exhibits centered on baseball, Hollywood, and western heroes. The main exhibit is the life-size Lincoln funeral car, an item that completes the museum's extensive collection of model trains and train technology. Lastly, the museum offers special packages that include tours of other historical sites on and near Steinwehr Avenue. The Lincoln Train Museum admission rates vary depending on age and group size. 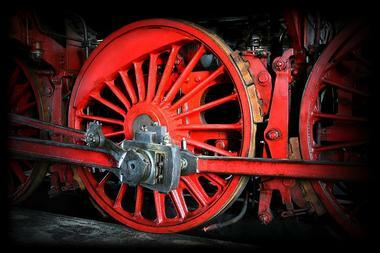 The historic Gettysburg Railroad Station Museum is open to the public year-round. It is the same station where Abraham Lincoln arrived in 1863 to dedicate the nearby national cemetery, and it now serves as the home of the Pennsylvania Abraham Lincoln Bicentennial Commission. During the Battle of Gettysburg the station also acted as a field hospital that serviced more than 15,000 wounded soldiers. Special exhibits are contained in the museum throughout the year, and admission is always free. David McConaughy, a lawyer who lived through the Civil War, created the Evergreen Cemetery in honor of Civil War soldiers in 1854. McConaughy himself was laid to rest in the Evergreen Cemetery in 1902. Other notable people buried at Evergreen include theologian Samuel S. Schmucker, Congressman Edward McPherson, and Mary Virginia “Jennie” Wade, the sole civilian killed in the Battle of Gettysburg. Groups of 10 or more visitors can take a 90-minute walking tour of the Evergreen Cemetery to view memorials along with the gravesites of prominent Civil War-era individuals. The Gettysburg Heritage Center seeks to teach visitors about what it was like to live through the Battle of Gettysburg. Showcasing artifacts, documents, and interactive displays are a few methods that the Heritage Center employs to teach guests about the Battle of Gettysburg and its impact on the community. The Heritage Center also shares dozens of unique accounts that explain how locals reacted to one of the Civil War's most important battles unfolding next to their homes and farms. In addition to its enlightening displays, the Heritage Center has a gift shop with a wide array of collectibles, clothing, books, and toys. 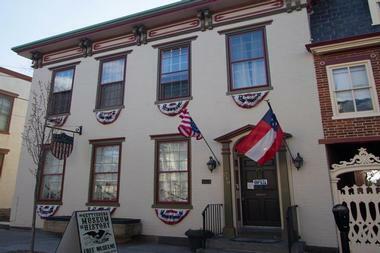 The Rupp House is located in downtown Gettysburg. In its carefully preserved state, this structure offers guests a glimpse into the lives of civilians during the Civil War. The John Rupp family occupied the home during the Battle of Gettysburg, and now the lower level serves as a public museum. Visitors can explore the museum's interactive displays and engaging exhibits for free. 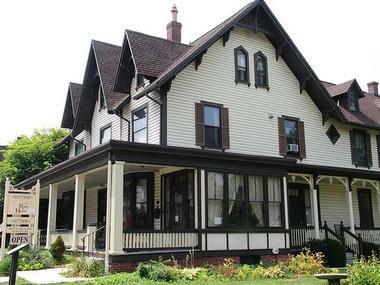 The Rupp House also hosts special events such as the Living History Demonstrations & Events as well as Courtyard Chats. The Rupp House museum only accepts guests on weekends. 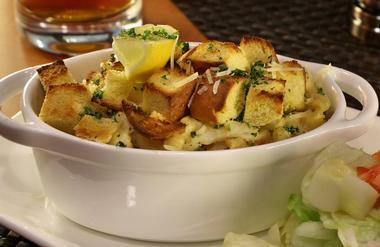 Great food is one of the best-kept secrets of Gettysburg. The Savor Gettysburg walking tour will introduce you to some of the best eateries in town while walking you through historic streets and showing you the historic and cultural highlights. The entire tour takes about three hours and you will cover about one mile, so it is really suitable for people of any fitness level. Imagine experiencing the Gettysburg Battlefield from horseback, the way the soldiers experienced it. With Cornerstone Farm Horseback Tours, you will start your ride at McMillan Woods behind Confederate lines, continue past the Emanuel Pitzer Farm – the headquarters of A.P. Hill during the Battle of Gettysburg – and continue on through the Gettysburg National Military Park on the back of a sweet, docile horse. The National Park Service Licensed Battlefield Guides guide the most popular tours, and they will share the details, strategies, facts and true stories of the Battle. You do not have to know how to ride a horse like an expert – they are calm and friendly. The ride can take from one to two hours, depending on how much time you want to spend. 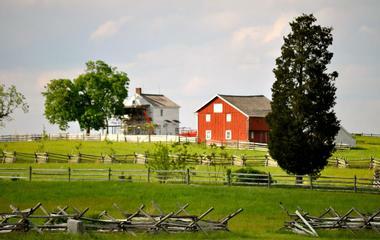 If you are wondering what to do in Gettysburg PA with kids, this is a great place to visit. Kids have to be eight years or older and will ride their own horse. 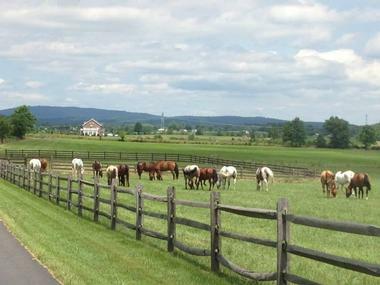 There are so many ways to visit the main historic points in Gettysburg – by bus, car, riding a horse, or on foot. If you find walking a bit too much and a bus too confining, why not compromise and go with a Segway? 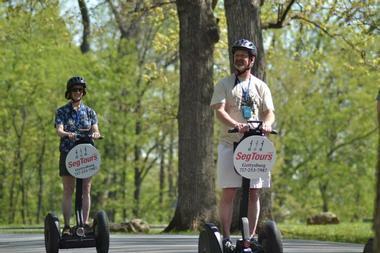 Segway PTs™ are environmentally friendly since they use no gas, produce no fumes, and are almost completely quiet. Even if you have never used one, you have nothing to fear - they are easy to use, and you can have a lot of fun navigating main points such as Pickett's Charge, Little Round Top, the Lutheran Theological Seminary, the Peach Orchard, Devil's Den, Wheatfield, the High Water Mark, and so much more. There are several different tours, but the most popular lasts about three hours. During this tour, you will cover about nine miles and make four rest stops. 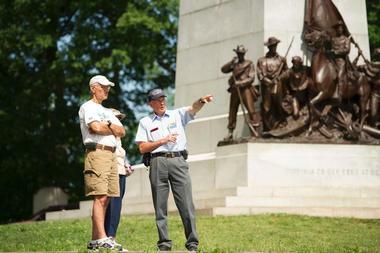 History Nerds offers several unique tours of key Civil War sites in Gettysburg. The General's Tour takes around two hours and covers the Battle of Gettysburg chronologically. This tour is available seven days a week. 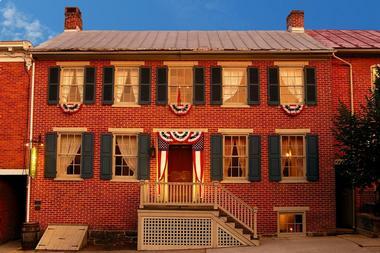 The Antietam Tuesday Tour is only offered on Tuesdays – it lasts the entire day and includes lunch on Harper's Ferry. History Nerds also offers a specialty tour of the Gettysburg battlefield as well as the city of Gettysburg. Lastly, the company allows visitors to create custom tours with attractions of their choice. When you enter Treat Yo’ Self, you will know the meaning of the expression “like a child in a candy shop.” They have 20 flavors of frozen yoghurts and more than 40 toppings, all lined up and ready for you to mix and match and make your own delicious creation. You can also create your own donut – you get a “naked donut” and choose what you want on it and in it. 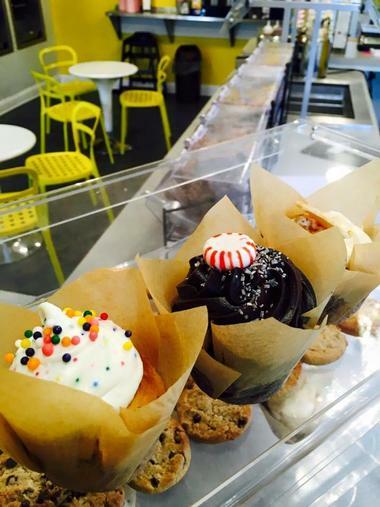 And the selection of colorful, divine cupcakes they have will make you dizzy even before you find out that you can change any of them and add what you like. All sweets are made by hand fresh every day in limited quantity. They often run out of the most popular ones, so you better come early if you crave one particular flavor. 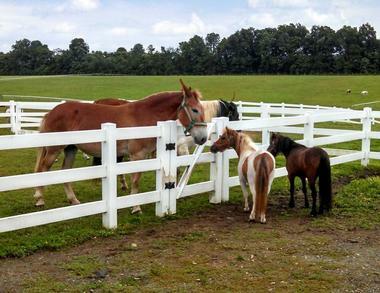 Land of Little Horses is a performing animal park located in Gettysburg's farmland. The park has a variety of fun attractions, including a tortoise and hare race, a performing animal show, and the parade of breeds that allows guests to see the various types of animals that live on the farm. Little Horse Land also holds special camps throughout the summer for children between the ages of five and twelve. Little Horse Land has its own gift shop where visitors can buy collectibles, toys, and games. Returning guests can purchase season passes for discounts on future admission. 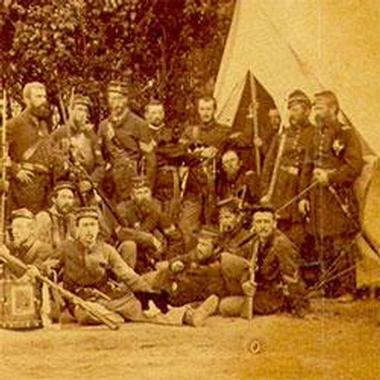 Ronn Palm is the owner of thousands of Civil War-era photographs. In 2000, Palm opened his museum in a two-story log home that dates back to 1802. The bulk of Palm's photographs are images of Civil War soldiers from Pennsylvania who were part of the state's infantry, cavalry, and artillery. Since many individuals in the photographs remain unidentified, Palm is using an online catalog system to collect as much information as possible about the men in his images. His goal is to eventually find the names of every soldier depicted in his collection of roughly 4,000 pictures. 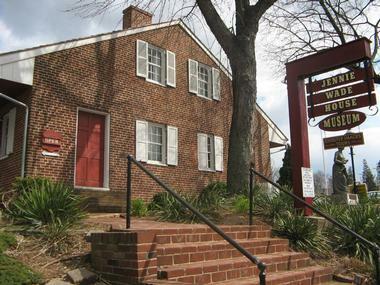 Ronn Palm's Museum of Civil War Images is only open on weekends, and admission is free. 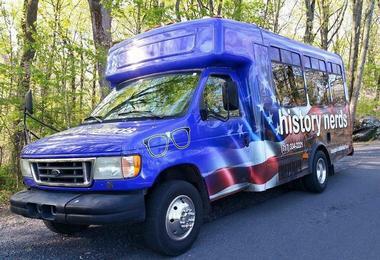 The Gettysburg Battlefield Bus Tours company leads two-hour guided bus tours around the historic Gettysburg battlefield. The company offers two tour options. Guests can listen to an audio presentation while riding through the field in an open-air double-decker bus, or they can hear the presentation from a live guide while in an air-conditioned bus. 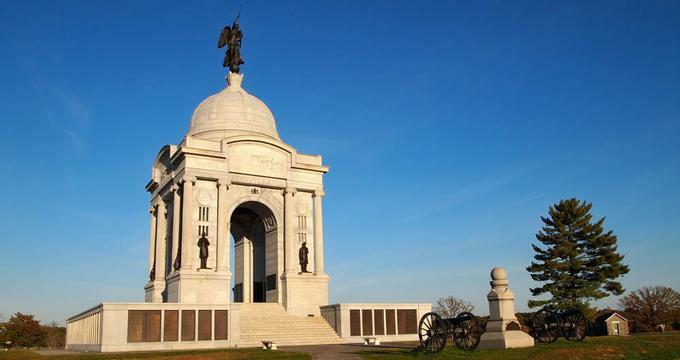 Each tour departs from the Main Gettysburg Tour Center, and guests can buy tickets at several hotels, motels, and campgrounds throughout Gettysburg. 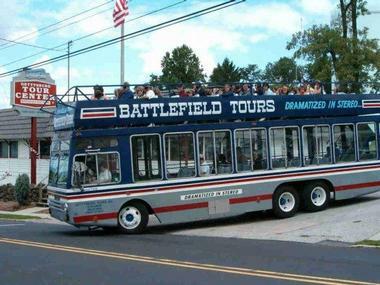 In addition to battlefield tours, the bus company also offers tour packages that include visits to other prominent Civil War landmarks. Rob Gibson is a world-renowned photographer who has mastered the photographic methods used during the Civil War. His work has appeared in numerous magazines, books, and television programs. 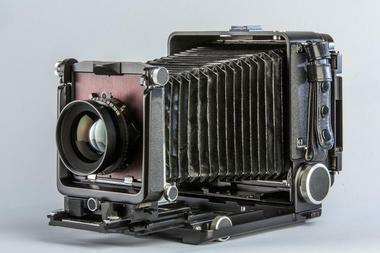 Gibson and his wife have a large collection of cameras and photography equipment from the mid 1800s, and they occasionally hold demonstrations for studio visitors. Additionally, Gibson allows people to schedule creative photo shoots with their own props or the props and costumes he keeps at his studio. Visitors can buy various sizes of their printed photos directly from Gibson. 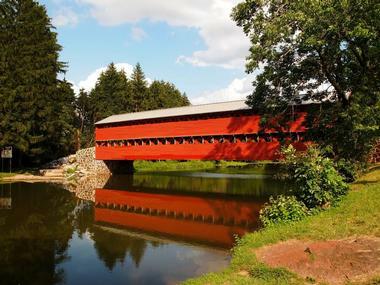 Throughout the 1900s, Sachs Covered Bridge was remodeled several times to ensure its stability and longevity. The bridge is one of the few Town truss-style bridges that remain in Pennsylvania.